Available here are charts and worksheets presenting data from Peter Brierley (ed. 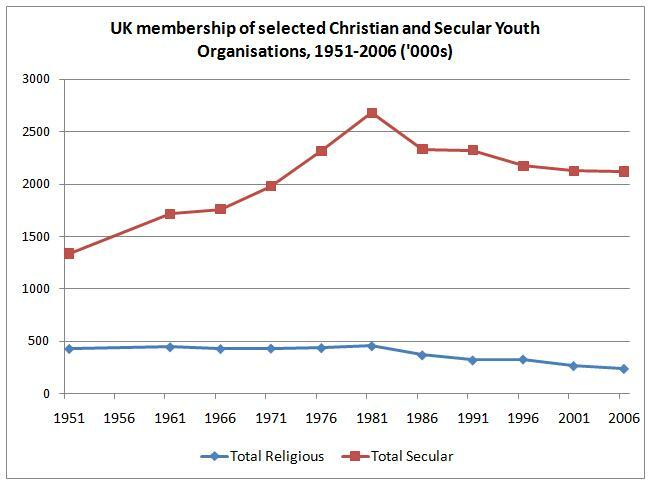 ), UK Christian Handbook Religious Trends 7 2007/2008 (Christian Research 2008). 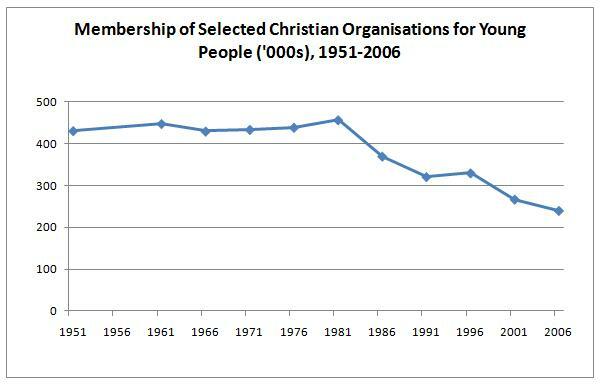 These provide trend membership data for a selection of Christian and secular youth organisations. The data are available in tables 5.6.1 and 5.6.2 in the original compendium. Forwarded projections to 2011 are omitted from the graph but included in the spreadsheet. Published here as a derivative work with the kind permission of Christian Research.